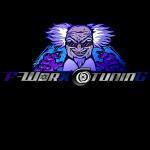 Hello everyone, i will be tuning a stock EJ207 spec c V8 subaru sti. My question is does anyone here know the limit of the stock internals (max power and max torque) ? With a bad tuner, they can be destroyed at less than standard power. With a good tuner they can easily support more than a VF37 will make. Bad tuner with the meaning of what? So lets say maximum 450hp at the engine? So how much hp is the vf37 maxing out?